Links: Any relevant links not referenced below. Live or archived links. A Ubisoft support page announced the end of online services for several titles, beginning on November 11th, 2017. This title was among that list and was checked for availability in April of 2018. This is a placeholder entry to be expanded at a later date. 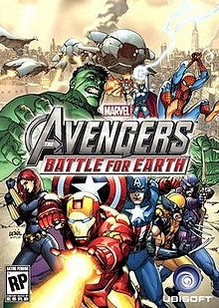 Marvel Avengers: Battle for Earth was delisted on Xbox 360 between December 7th, 2015 and January 6th, 2016. The Games on Demand version was last confirmed available on December 7th. It is assumed the Wii U eShop version of the game was also delisted around this time.